Callaway’s new X Hot is all about versatility, thanks in part to a classic design: the Warbird sole. Callaway jumps into the maxed out fairway woods game this season with the X Hot line, but instead of touting “distance, distance, DISTANCE!” Callaway is promoting the X Hot and X Hot Pro as incredibly easy club to hit both off the tee, but also off the fairway and even from the rough. For many years, club manufacturers have left yards on the table in their fairway woods, because of the high material cost and the difficult design hurdles created by designing a max C.O.R. club that isn’t a driver. Tour Edge Exotics basically ruled the market for those looking for the longest 3 wood they could find, but they didn’t come cheap. Adams and TaylorMade have joined the fun, all making a splash talking about yardage gains. 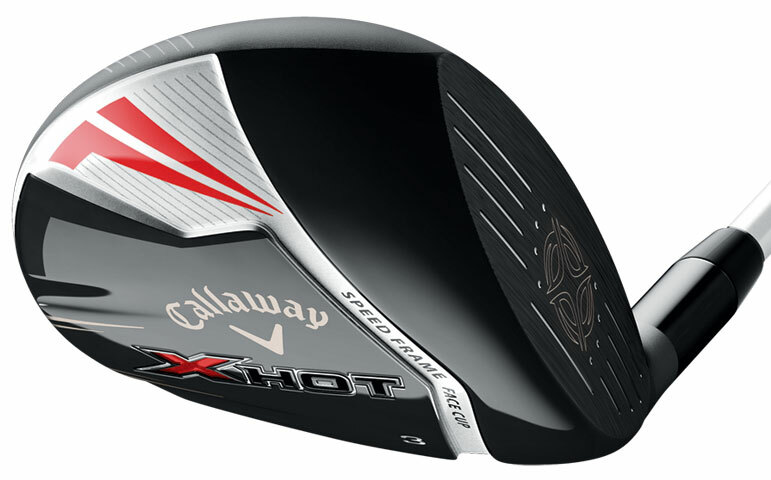 But Callaway’s new X Hot is all about versatility, thanks in part to a classic design: the Warbird sole. 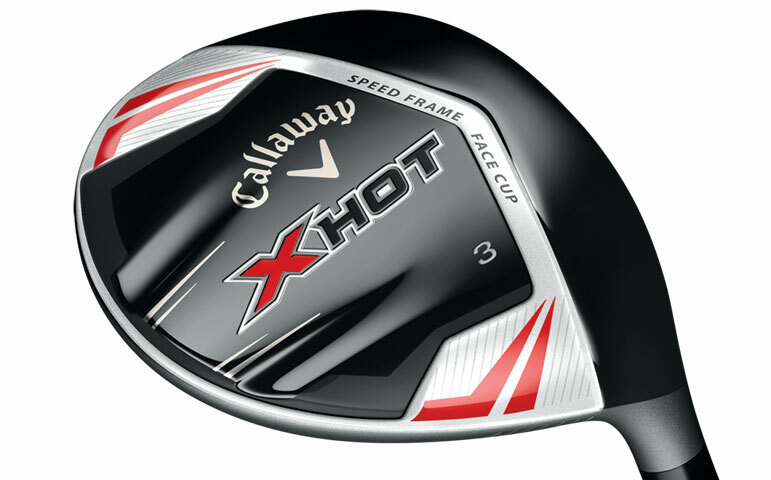 How does the Callaway X Hot Pro measure? It’s about so much more than yards off the tee, as we found during an extensive playing review. For a golfer who loves the idea of a long, max-C.O.R. fairway wood, but who has found that other versions are a one-trick pony (off the tee only), the Callaway X Hot has found the right mix of distance and versatility. It’s a clear winner as competition in the fairway wood market heats up. From the tee or off the fairway, the X Hot 3 wood is incredibly easy to hit. Remember when the crown of every metal wood was some variant of black? Neither do I. Callaway scores here with their version of a gray/silver head. Everything about the X Hot Pro Callaway sent for my review inspires confidence. The height of the face is just right, as I’ve always preferred a shallower fairway wood. The compact head makes the ball look so easy to get airborne, unlike others that look like miniature drivers. Callaway has differentiated the X Hot fairway woods by building it to fly long off the tee, but also from the spots you’d want to use it, particularly the fairway. I was skeptical when reading about the X Hot, but from the minute I hit a ball, I realized this club was going to be in my bag for a while. As a low single-digit handicap, my biggest problem with fairway woods has been finding one that doesn’t spin like crazy, ballooning into the wind. The X Hot Pro performs admirably, and I’m able to work it left or right, and can keep it low if needed. Unlike many other 3 woods I’ve played, I find the X Hot Pro can act as either a tee club or a fairway club. I’m able to tee it up a bit high, put it forward in my stance and launch it 250 yards or more. I can also drop it back in my stance as I would on a typical 3 wood and work it either way. From the fairway it flies high and forever. In a recent practice round I had 230 yards into a par 5 and caught it so flush it shocked me to find it 40 yards over the green, on the next fairway. It was a real eye opener. I find that catching it on the upswing lets me take the spin off it, and hit low bullets off the tee. But I can also get it up in the air for more consistent, softer-landing shots into a green, or when I want a more precise distance (on a narrow par 4, or trying to reach a specific point on a dogleg). Fairway woods will never feel the way they did when we played persimmon wood heads, which in my mind are what we’ll always compare a good metal wood to. A deep, solid crack of the ball is the ideal, and the X Hot Pro performs well here. If I had the chance to make one improvement, it would be to increase the swing weight, as the club feels a bit light. However, for many golfers, that would be a benefit. I might play around with adding some lead weight strips and see how I like it. All around, Callaway has sold me on their X Hot Pro 3 wood. I’ve recently read a study that says as golfers we often opt for a fairway wood off the tee when we need to hit it down the middle, but since we practice hitting 3 wood far less often than driver, it results in poor accuracy and sacrificed distance. However, with the X Hot Pro, I can opt for a shot that performs like a junior driver, or a more controlled stinger type shot. Not only ist his club versatile from lie to lie, but it’s exceptionally versatile within a shot category. Because I hit the ball relatively long, it’s not too often I need to hit 3 wood from the fairway, so it’s always been a shot I’m quite uncomfortable with. I’ve opted for a 5 wood in the past as my fairway wood because of the performance off the deck, but that’s a lot of distance to give up as a tee shot alternative. With the X Hot Pro, I have no trouble with topping it off the turf, or hitting big nasty pull hooks, which have been problems in the past. Long, straight and high is the standard ball flight, but it’s not the only ball flight, which is about everything you can ask for from the oft-overlooked fairway wood. 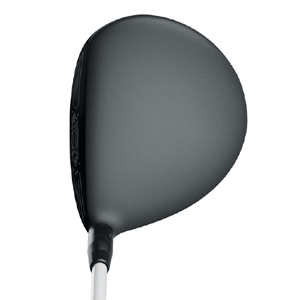 The X Hot Pro metal woods sport a compact head with classy dark silver paint job in both driver and fairway woods. Internal Standing Wave: This unique design feature lowers the CG by pushing the weight as close to the Forged Speed Frame Face Cup without actually touching it for increased distance from everywhere. Forged Speed Frame Face Cup: We’ve fused our Forged Face Cup with our Speed Frame Face. This allows for increased ball speeds all across the face in a fairway wood that’s longer from everywhere. Modern Warbird Sole The modern Warbird Sole delivers increased versatility from everywhere with an updated design that builds off of one of the most versatile fairway woods ever produced.